The next generation of mobile devices, vehicles, appliances, and machines of all kinds are going to require material solutions that are more capable and more versatile. Smart surfaces, flexible touch panels, conformable transparent antennas, electrochemical sensors, and transparent heaters are just a few of the applications powered by CHASM's advanced material solutions. The increasing use of connected devices is resulting in an exponential growth in the RF energy surrounding us. Billions of devices are going to take advantage of the Internet of Things, all requiring antennas. The availability of clean water, clean air and unspoiled food is driving demand for new types of sensors. Dependence on electronic solutions requires that they be functional and visible under varying conditions. Integrating electronic functionality and lighting into conformable surfaces requires a new generation of circuit material. Electric vehicles and portable electronics are just a few of the markets driving the development of new battery technologies. The advent of the smartphone brought with it an expectation that all human-machine interfaces will function similarly. While more than 1.5 billion smartphones are sold each year they represent a fraction of the mobile device market. More than 100 million vehicles are sold each year worldwide, virtually all of which depend upon electronics in some capacity. The human-machine-interface (HMI) is evolving in everything from home appliance to devices as simple as a coffee maker. Retail displays and signage are fast becoming more than just graphics to an interactive tool to correct customers and marketers. A growing population is forcing companies and governments to more quickly identify threats to health and safety. The market demand for higher energy density and improved cycle life necessitates ever more creative material solutions. Transparent Conductive Films, RF Energy Redirection Materials and Printable Carbon Nanotube Inks lead CHASM's printed electronics materials product line. Carbon-nanotube-based anode & cathode material enhancements to provide improved energy density and cycle life for lithium ion batteries. CHASM leads the market for high-purity single-wall and few-wall carbon nanotubes, available in powders, dispersions and inks. Since the company's founding in 2005 CHASM has maintained a culture of creativity and innovation, dedication and inclusion. 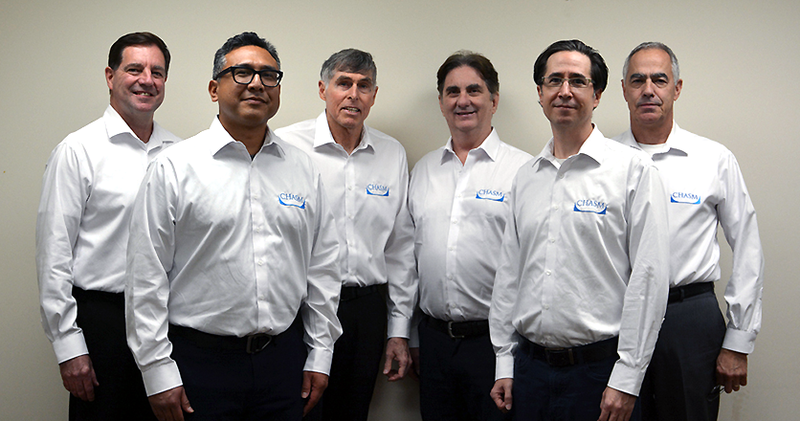 These value drive and energize the CHASM team to provide advanced materials and solutions that enable the company's customers to drive competitive advantage in their own products. Every member of the team is a contributor and an innovator, and a part of a culture that is changing the world through its efforts.